Preheat oven to 400°FLine a baking sheet with aluminum foil and spray with non-stick cooking spray. Place asparagus in a single layer on baking sheet. Drizzle with lite Kraft Asian Toasted Sesame Dressing. 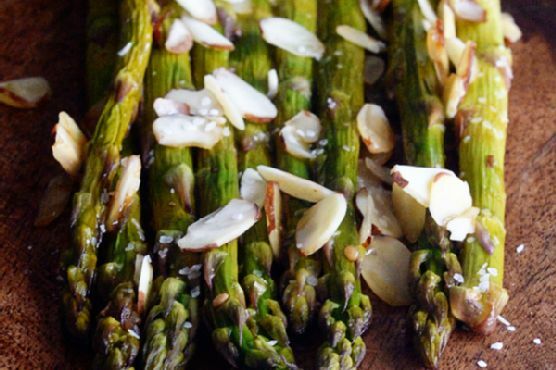 Roll the asparagus around the baking sheet so each spear is covered with dressing.Toss evenly with sliced almonds.Sprinkle with Kosher salt. Bake for 10-12 minutes, or until asparagus spears are tender when touched with a fork.